For 25 years the Institute has been developing and fabricating the elements and systems of reflective and transmissive IR optics. 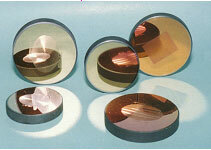 These optical devices include constituent parts (mirrors, windows, lenses, dividers, beam and phase shifters, polarizers); lens and mirror objectives; telescopes; sensing devices; shutters for high-power CO2 lasers; beam transport systems; opto-mechanical heads for laser processing systems. A theory elaborated by the ILIT RAS scientists provides the basis for producing optical elements for control and transformation of powerful IR beam polarization, and the adaptive optical devices and systems for monitoring laser beam parameters and material processing control. 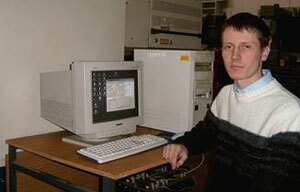 The Institute has at its disposal modern facilities for manufacturing optical elements, including diamond turning machines and necessary test instrumentation (roughness meter, ellipsometer, interferometers, spectrophotometers, systems for precise measurement of reflectance, absorptance and phase characteristics). 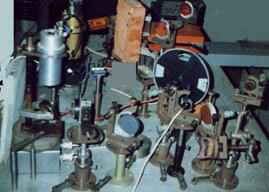 A method of generating radially and azimuthally polarized laser modes has been devised. A new class of intracavity diffraction optical elements has been developed, which feature high reflective polarization selectivity ensuring effective generation of such modes. 1) Optical diagnostic methods have been used to study the effect of laser-active medium nonequilibrium on turbulent flow parameters..
Luminescence, interference and four-wave-mixing methods have proven amplitudes of turbulent small-scale optical inhomogeneities in the mixture of a CO2 laser to build up in the presence of a gas discharge and laser radiation as the result of nonlinear effects of local heat release under strong thermodynamic nonequilibrium. 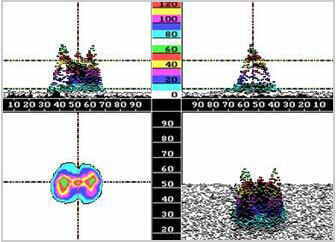 The optical quality of laser radiation is deteriorated due to this phenomenon. 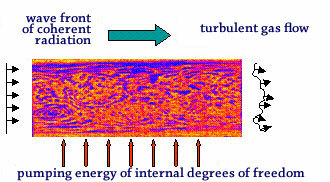 2) Transverse pulsations of a turbulent flow have been measured by the phase conjugation method. The dependence of density and velocity turbulent pulsations on the scale of whirling instabilities, as well as the degree of turbulence of a Cn2 mixture flow in a fast-axial-flow CO2 laser have been determined.